Here's my latest Christmas card design. 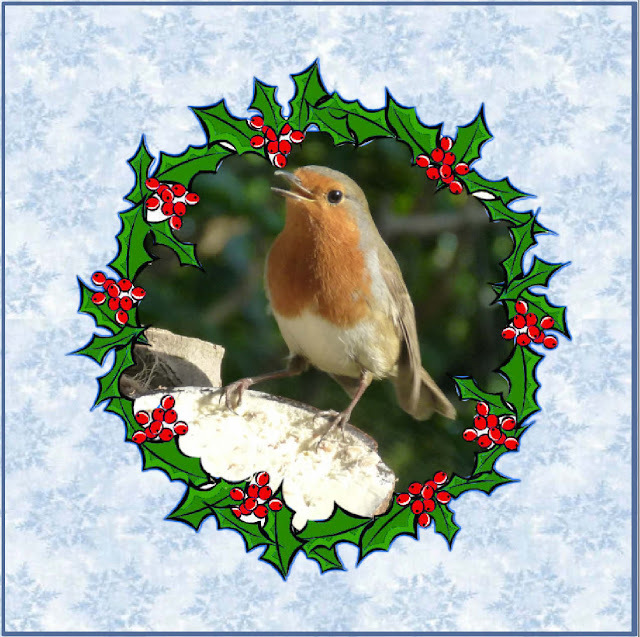 The photo used was taken in our garden where we have quite a few robin visitors although if two turn up at once there is usually trouble! The robin loves pecking at the half coconut filled with a fat mixture. You can add a Greeting to the front and add a message inside.